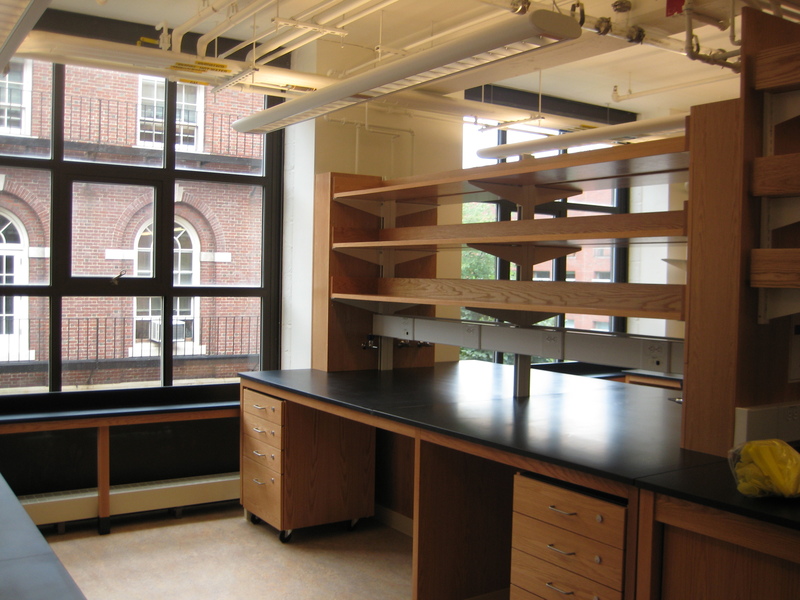 Mango Lab is a 4,046 square foot laboratory located on the 3rd floor of the Harvard’s Biological Laboratories (BioLabs) Building. As a part of the Faculty of Arts and Sciences (FAS) Department of Molecular and Cellular Biology, Professor Mango and her team research organ development and physiology. 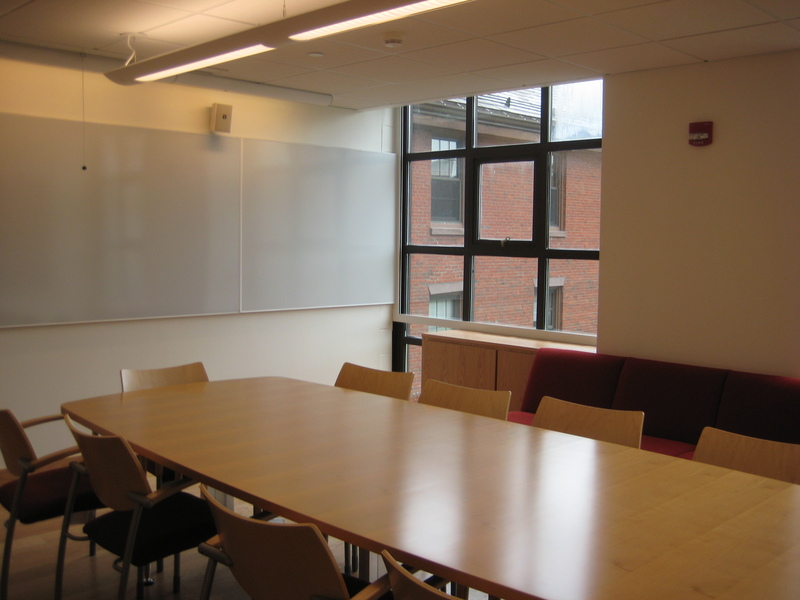 The project was a full gut renovation of an existing lab and office suite to accommodate the research and teaching needs of a newly appointed tenured senior faculty member. 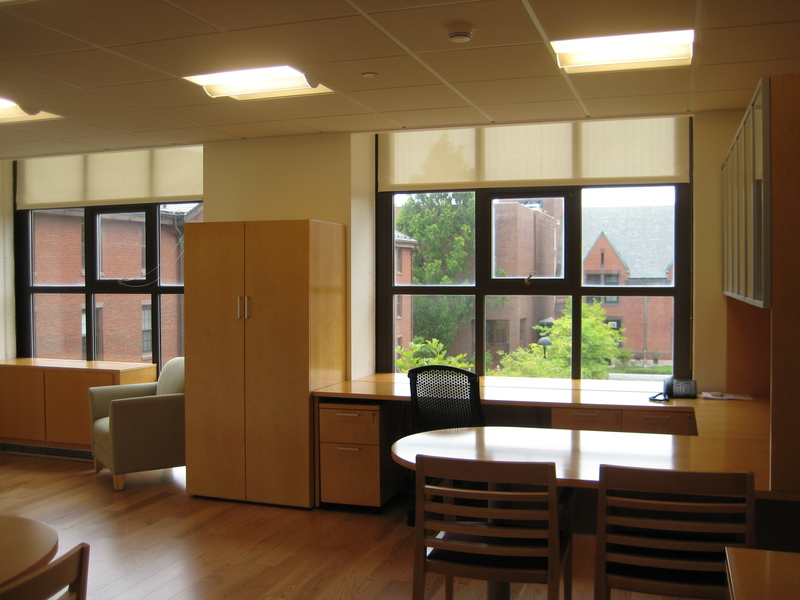 In addition to open laboratory space, the 2009 renovation included microscope rooms, equipment rooms, tissue culture space, a cold room, two office areas and a tea room. In support of Harvard’s goal of reducing greenhouse gas emissions 30% below 2006 levels by 2016, inclusive of growth, FAS and the project team were committed to sustainability from the onset and throughout the duration of the project. They were able to develop more efficient lighting and HVAC systems to serve the space, as well as carefully select low-VOC furnishings and finishes to be used throughout.